Learn practical self defense skills. Challenge yourself and succeed in training, competition, and life. Brazilian Jiu-Jitsu (BJJ) is a martial art based on grappling and ground fighting techniques. The aim of Brazilian Jiu-Jitsu is to control and subdue a larger and stronger opponent through the use of superior techniques, leverage, and body mechanics. With an emphasis on grappling rather than striking, students are able to practice with varying levels of intensity, without the threat of serious injuries which can occur more often in martial arts focused on punching and kicking. Traditionally, the Brazilian Jiu-Jitsu student practices in a gi or kimono, a martial arts uniform similar to a judo outfit. In recent years, many schools and academies have incorporated no-gi BJJ, commonly referred to as submission wrestling, to their teaching curriculum. In no-gi BJJ, students typically wear t-shirts and shorts, instead of the typical gi. Brazilian Jiu-Jitsu classes will often incorporate takedown training, utilizing Judo throws (tachi-waza) and wrestling techniques, as well as proper break-fall techniques (ukemi). SFC Striking classes are open to members age 13 and above. It combines aerobic and anaerobic conditioning in a fun, high-paced environment. You don't have to be a fighter to get in shape like a fighter! These classes incorporate techniques from Boxing, Western Kickboxing, and Muay Thai. The word Muay derives from the Sanskrit mavya and Thai comes from the word Tai. Muay Thai is referred to as the "Art of Eight Limbs" or the "Science Of Eight Limbs" because it makes use of punches, kicks, elbows and knee strikes, thus using eight "points of contact", as opposed to "two points" (fists) in Western boxing and "four points" (hands and feet) used in Karate-style martial arts. The SFC Striking classes have a friendly and motivating atmosphere to help develop you both physically and mentally. Safety is a top priority at SFC Mixed Martial Arts and proper control is emphasized during training. The round durations and pace make this class perfect for weight-loss and fitness goals, and sparring is optional. SFC MMA classes are open to members age 13 and above. These classes incorporate techniques from BJJ, Judo, Wrestling, Boxing, Western Kickboxing, and Muay Thai. The MMA class is designed to supplement training in our "core" classes with "transitional" techniques, chaining striking to wrestling, ground-and-pound to submissions, etc. The MMA student practices in no-gi clothing (t-shirts and shorts), and will typically wear shin pads and MMA practice gloves or boxing gloves. The class will be drilling and repetition intensive, and will include multiple rounds of situational sparring, as well as limited strength and conditioning circuits. Safety is a top priority at SFC Mixed Martial Arts and proper control is emphasized during training. People of all skill and experience levels are welcome. Rick Wymer is the founder of Springfield Fight Club. Rick currently holds the rank of Brown Belt in Brazilian Jiu-Jitsu under Daniel Montanha. Gabe is the Springfield Missouri Representative for Daniel "Montanha" De Lima. Daniel is a black belt under the world famous Carlos Gracie Jr. Gabe is a first degree Black Belt under Daniel Montanha. Gabe teaches group BJJ classes on Tuesday/Thursday evenings and is available for private lessons. Brett is the Springfield Missouri Representative for Daniel "Montanha" De Lima. Daniel is a black belt under the world famous Carlos Gracie Jr. Brett is a Black Belt under Daniel Montanha. Nathan has competed in amateur Muay Thai, MMA, and Jiu Jitsu. 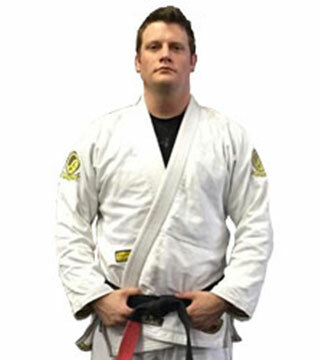 Nathan is the striking coach, mma coach, and assistant bjj coach. Brown belt with over 10 years of training. A competitor and multi-time champion in AGF, NAGA, FUJI, etc. Parker has over 5 years of BJJ training and is a purple belt. Parker has competed in muay thai, kickboxing, as well as mixed martial arts. FAMILY MEMBERSHIPS - apply to households with a maximum of two adults residing at the same address, and children who are full-time students residing at the same address until their 26th birthday; 18 years of age if they are not full-time students. At first just wear loose fitting clothing (shorts and a t-shirt). All jiu-jitsu classes are practiced in the gi or kimono. If you continue to take classes you will need to purchase one. Pro shop selling: Full Contact Fighter, Fairtex and Combat Sports Gear. SFC MMA provides a safe and realistic martial arts training environment that is designed to create highly skilled training partners. We work as a team to promote safety, share knowledge, and achieve personal growth for each member of our team.